South Carolina 10 (Maxwell Avenue) eastbound approaching its end at junction U.S. 25 Business & 178 Business (Main Street) in downtown Greenwood. 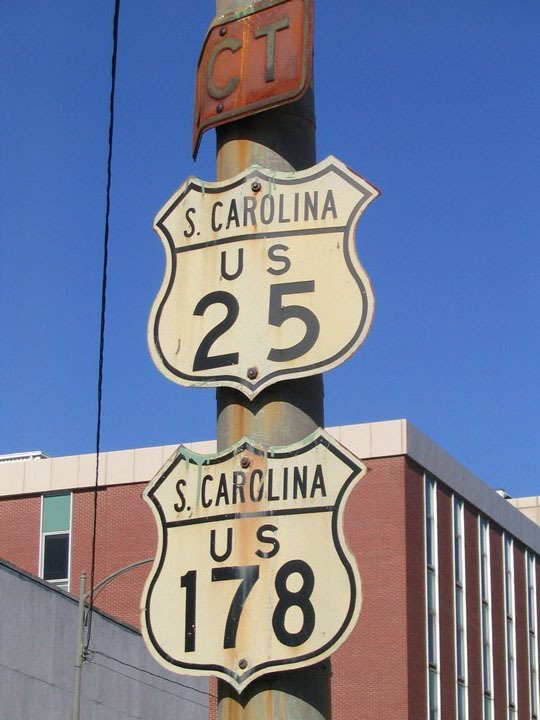 Pictured are vintage shields dating from the days when the U.S. 25 & 178 mainline passed through the heart of town. Now the tandem bypasses town in conjunction with U.S. 221 to the east. Photo by Alex Nitzman and Carter Buchanan, 2004.